Have you ever dreamed of having your own private winery for a day? The Watermill Tasting Room and Winery are available to make your dreams come true. Be it for an outdoor wedding of up to 100 people, an intimate dinner with friends in our formal dining room, or an offsite staff meeting in our full equipped teleconferencing room, Watermill is well equipped to handle events both large and small. Our facilities provide a unique setting that is matched only by our commitment to the highest quality service. Our world class staff will take care of your every need. With supporting items like tables, glasses, chairs and dishware included with the cost of the room rental your mind is put at ease that the price list up front will be the same as the one you settle at the end. We can even provide transportation to make sure you get to and from your even conveniently and safely. Enjoy the sunshine on the Watermill patio. Tables can be arranged or removed to fit nearly any event, and with our outdoor lighting and water misting system no day is too hot or night too early for your event. 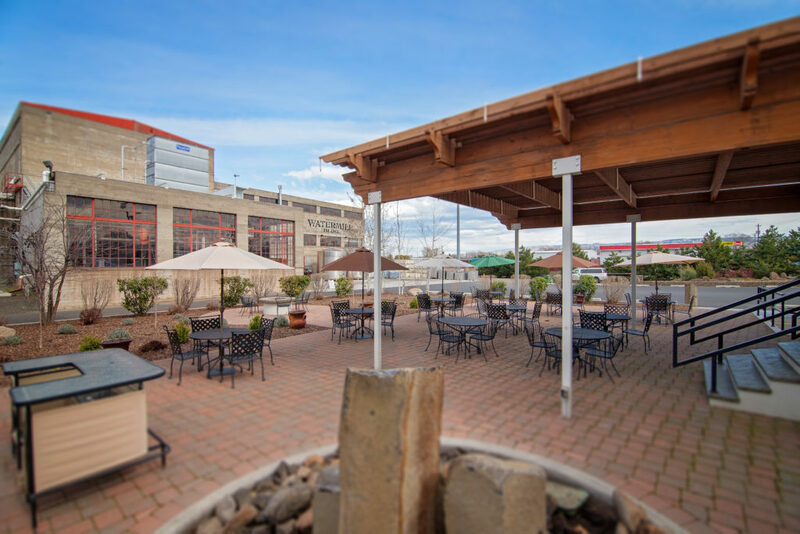 Our outdoor bar is set up for immediate service and the ambiance is aided by a basalt column fountain and propane fire pit. A unique offering in the Walla Walla Valley, a day on the Watermill patio is never a day wasted. An intimate space for meetings of 8 or less, our conference room comes equipped with tele and videoconferencing abilities through our 48in Samsung TV with Logitech Web Video. Coffee services are included with room rental. The game room offers a less formal atmosphere where guests can “let their hair down” and enjoy vintage pinball, GoldenTee Golf, Darts, Pool, Pingpong, and a number of other family friendly games. Sit by the two sided fireplace as you enjoy the view of the historic Watermill Building and our patio. The formal dining room table can be set to fit groups of up to 12 and additional tables can be brought in if necessary. Rental of the dining room includes use of the kitchen by the caterer of your choice and a member of the Watermill staff for table service. 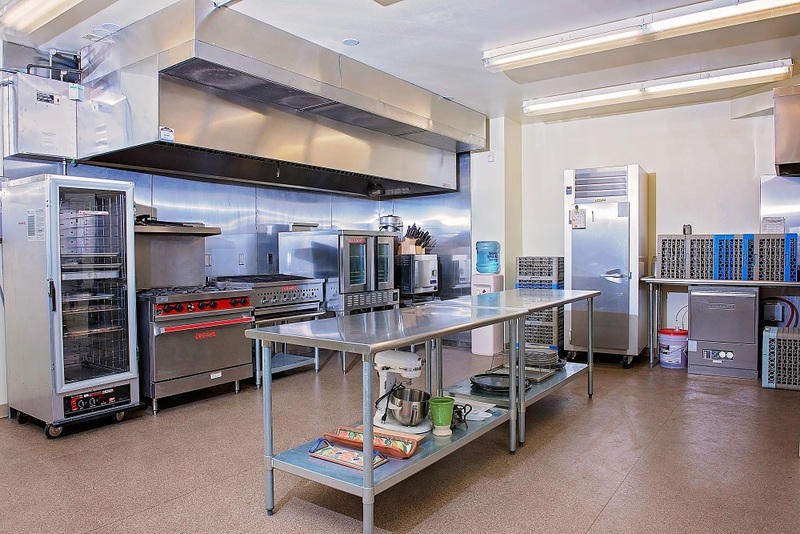 Available to support events at the winery or for food prep to take offsite, our kitchen has everything you need including the following. 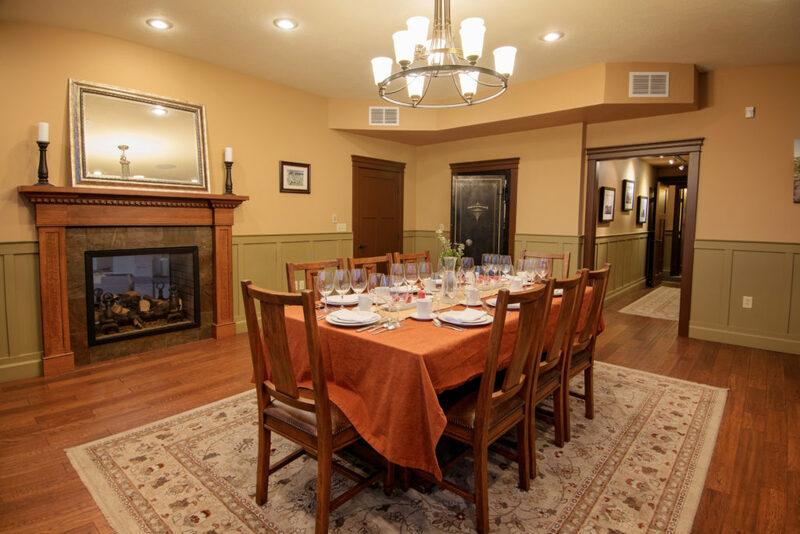 If individual rooms are not enough, Watermill winery can be rented out in its entirety! Rates will depend on day of week and time of year. Please email info@watermillwinery.com or call (541)938-5575 for more information.